United Airlines announced a $2 million critical needs grant to be split between the Community FoodBank of New Jersey, the Urban League of Essex County, and Year Up New York. The organizations were selected for their workforce development initiatives within the local communities that surround Newark Liberty International Airport. The FoodBank received a generous $500,000 contribution for the Food Service Training Academy, which will be put to good use recruiting and training new students from the City of Elizabeth, specifically, one of United’s hub communities. 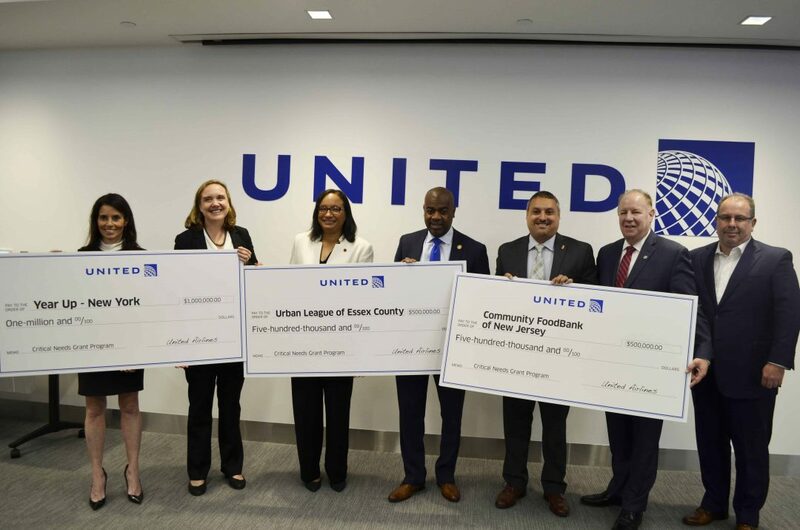 The grant was presented on July 18 at Newark Liberty International Airport with Elizabeth Mayor Chris Bollwage, Newark Mayor Ras J. Baraka, and United executives in attendance.